Intensify your drive by choosing a vehicle that induces adrenaline like no other. We’re all familiar with the reputation of Porsches. They’re top-of-the-line and reserved only for those who want a truly remarkable luxury performance machine. Are you looking to take your luxury car driving experience to the next level? 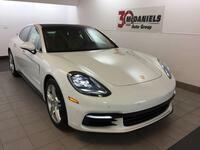 Check out the 2018 Porsche Panamera in Columbia SC! 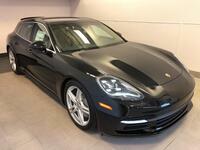 You might be surprised to see what exists inside the Panamera. Technology features are plentiful and include a panoramic sunroof, 12-inch touchscreen display, ambient lighting, and much more. You’ll also have choices for seating colors and textures as well as trims and styling. It’s up to you to customize the Panamera to your own liking. Take a look at some of the additional specs and features below! You can pick and choose your favorite features to include in the Panamera thanks to a wide range of options and trim levels. That includes the performance under the hood. With the turbocharged 3.0L V6 giving you 330 horsepower and 331 lb-ft of torque to work with, you’ll be owning the road. 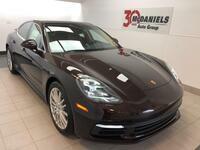 The transmission is an 8-speed Porsche Doppelkupplung with Auto Start Stop function. 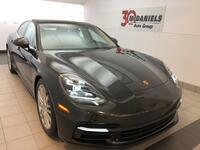 Look the part thanks to 19-inch Panamera wheels and glossy air outlet grills. Step inside and you’ll be treated to a standard Porsche Connect system. This central unit for infotainment houses everything you need to keep everyone entertained while keeping you aware of what’s going on with the roads. The home screen, as mentioned earlier, is a large 12 inches which makes it easy to access whatever you need. Four-zone climate control, online navigation, and cell phone preparation are just a few of the features you can access on it. There is so much more to see inside the Panamera. A long legacy of performance and tradition of excellence makes this sports car the ideal choice for those who want more than conventional automakers have to offer. 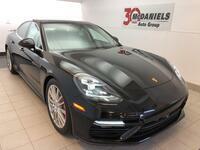 Interested in learning more about the Panamera? Get in touch with the team here at McDaniels Porsche in Columbia SC to learn more or schedule a test drive right here on our website! 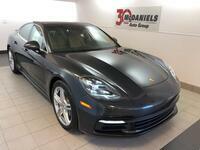 Interested in a 2018 Porsche Panamera?